If you are planning on doing any work on your home, foundation repair serving San Antonio may come first. Alternatively, you might have already noticed a problem with your foundation that led you to research general contractors who can put your mind at ease. Understanding how pier and beam foundation repair works can help you achieve a clearer idea of the structural integrity of your home as well as make an informed decision when it comes to choosing a contractor. Keep reading if you are interested in taking a closer look at how pier and beam foundation repair works. Pier and beam is a specific type of foundation, and there is are specific ways to go about repairing it; fortunately repairing a pier and beam foundation is typically less invasive than repairing a concrete slab. If you are a homeowner with this type of foundation, you might encounter a problem regarding the soil under the foundation or the construction of the foundation itself. The soil under the foundation might be affected by poor drainage, which can cause the soils to crack, or the foundation might have been built on cedar piers that have deteriorated. In either case, repair is geared towards making the foundation stronger. 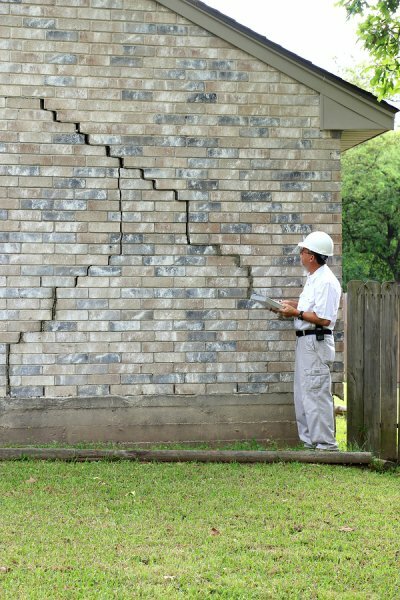 If the walls of your foundation have begun to crack, then they are likely dealing with the maximum amount of stress that they can withstand. When this is the case, your foundation repair team can use shoring techniques to bolster the strength of your foundation . Adding new treated beams and/or floor joists can allow your foundation to support additional weight without cracking or sustaining further damage. The extra support will also grant more surface area to your footing, further addressing the issue. Although it is helpful, shoring is not always a sufficient solution to a damaged pier and beam foundation. Your foundation repair specialists can also use new monolithical piers to level out your foundation and bring your home or office back to a pre-damaged state. The foundation repair team will use new monolithical piers to correct the elevation differentials.